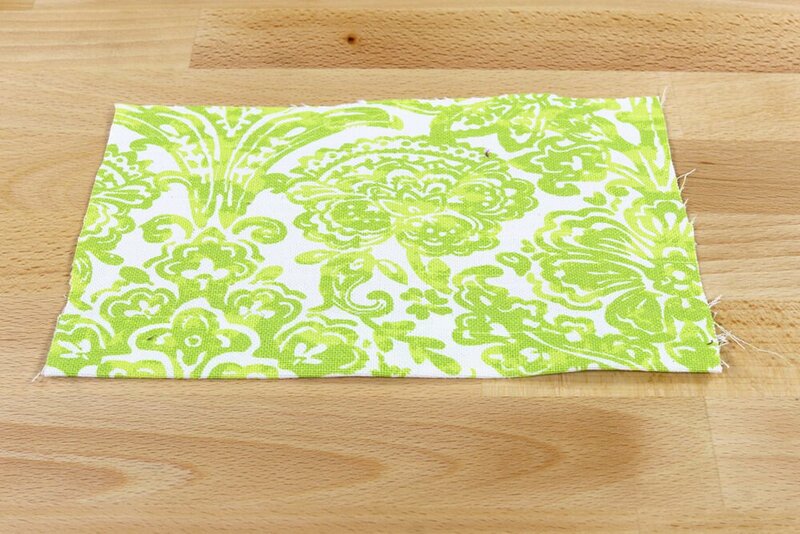 Choose a type of hem depending on your project and personal preferences. 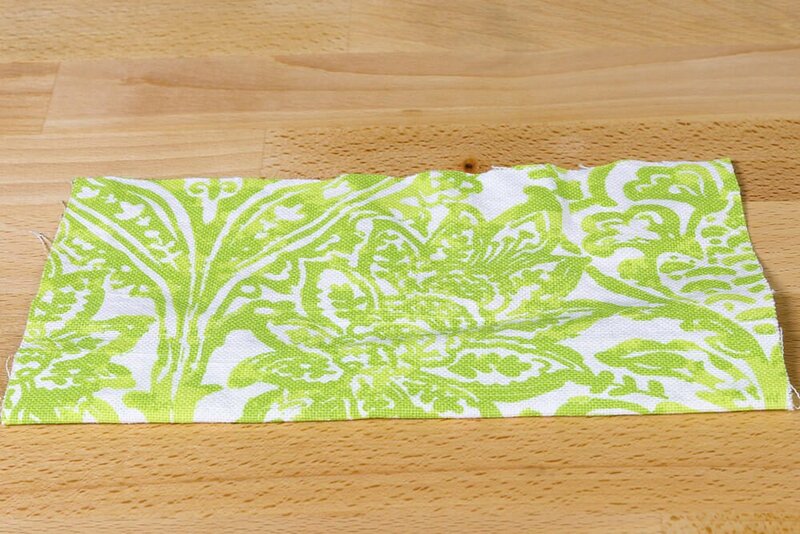 This hem is frequently used in clothing. 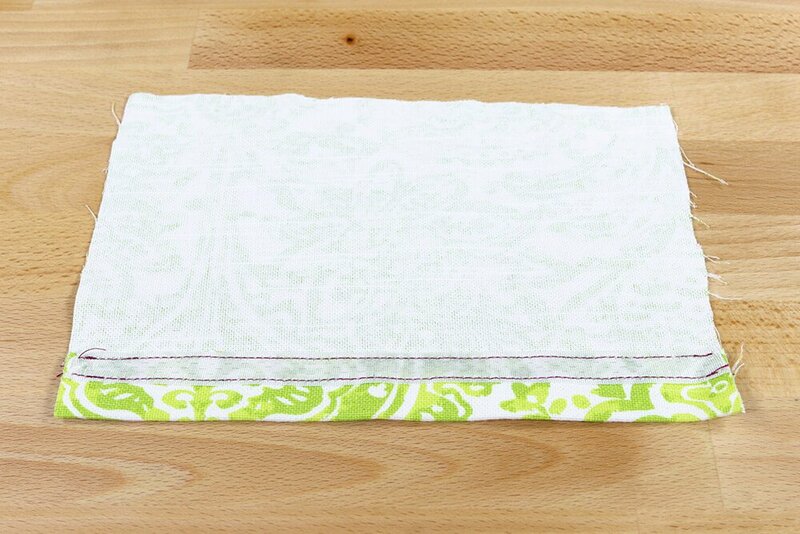 The serged edge will prevent the fabric from fraying. Serge the raw edge of the fabric. 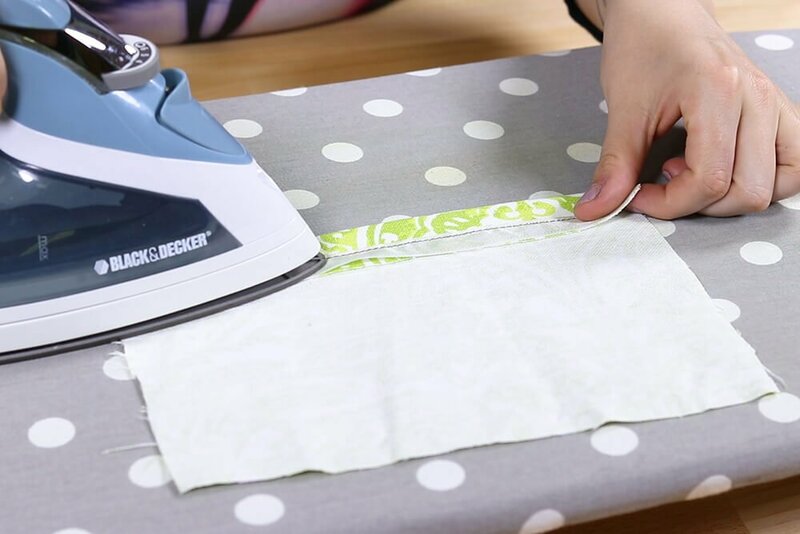 Fold the edge up your desired amount and iron. Stitch along the serged edge. 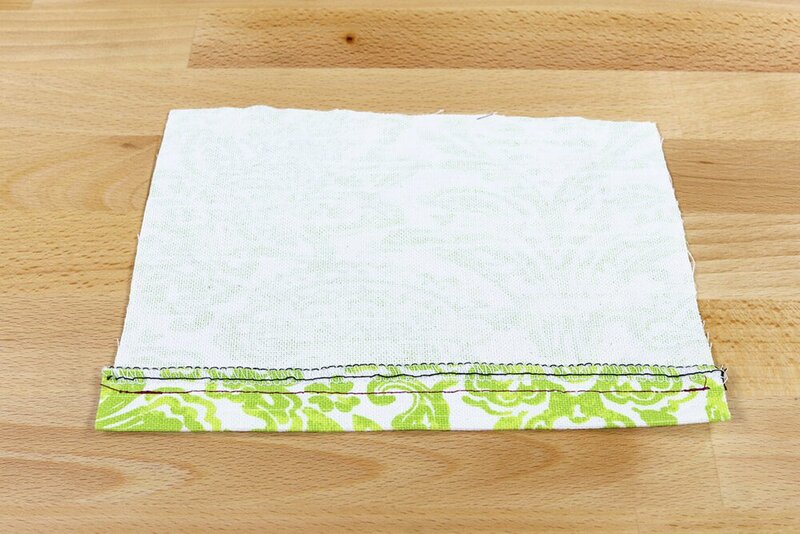 The double fold hem is the most common type of hem used for all sorts of apparel and decor projects. 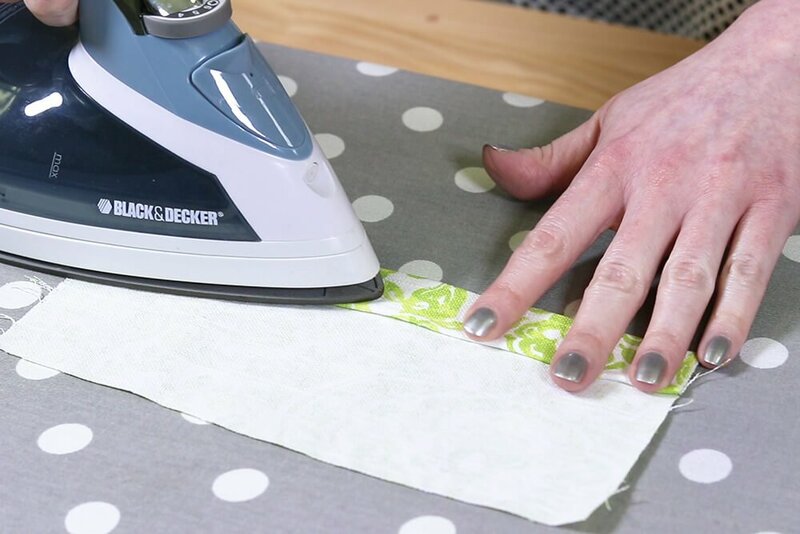 Fold the edge up you desired distance and iron. 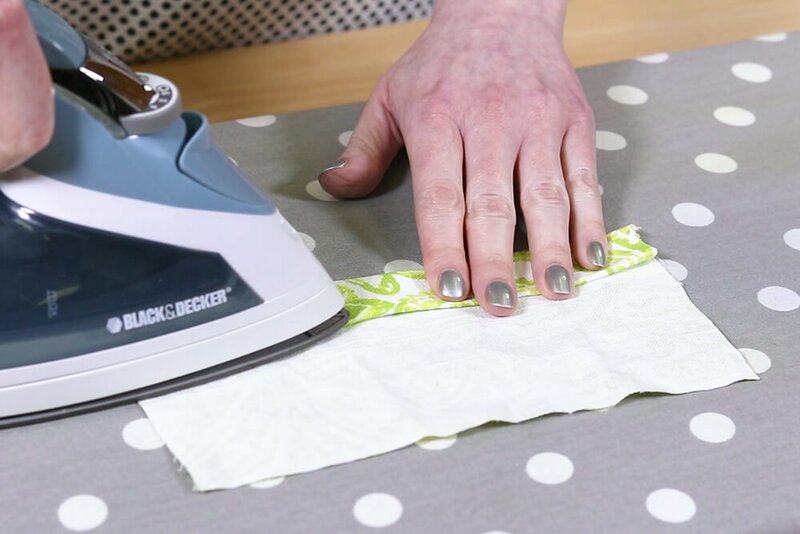 Fold up again the same distance and iron. 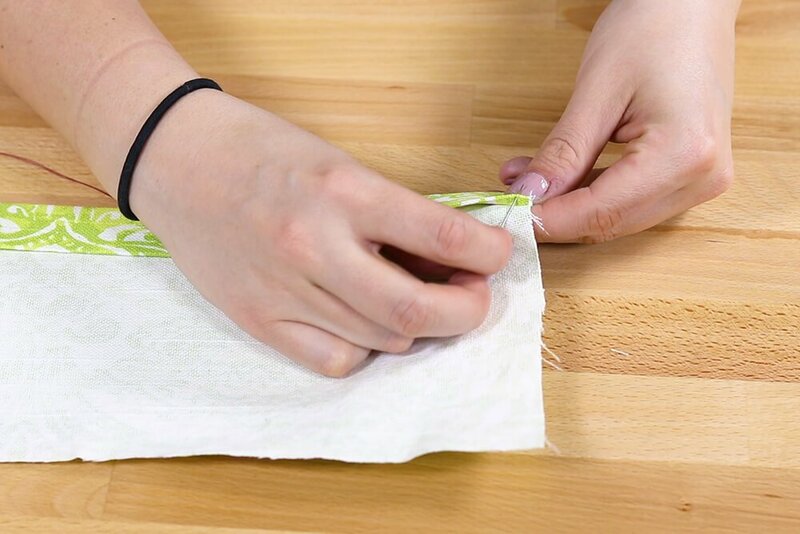 Stitch along the folded edge. 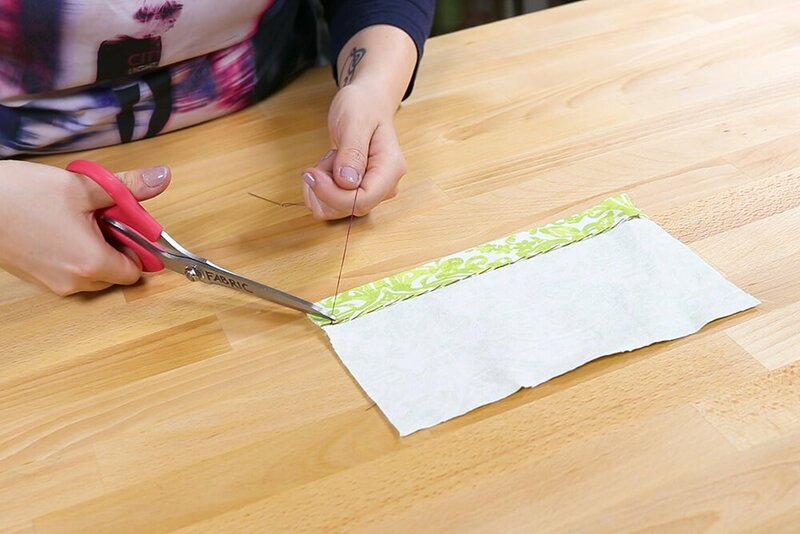 If you don’t want stitches to show on the front, using a product like Dritz Stitch Witchery is a good option. 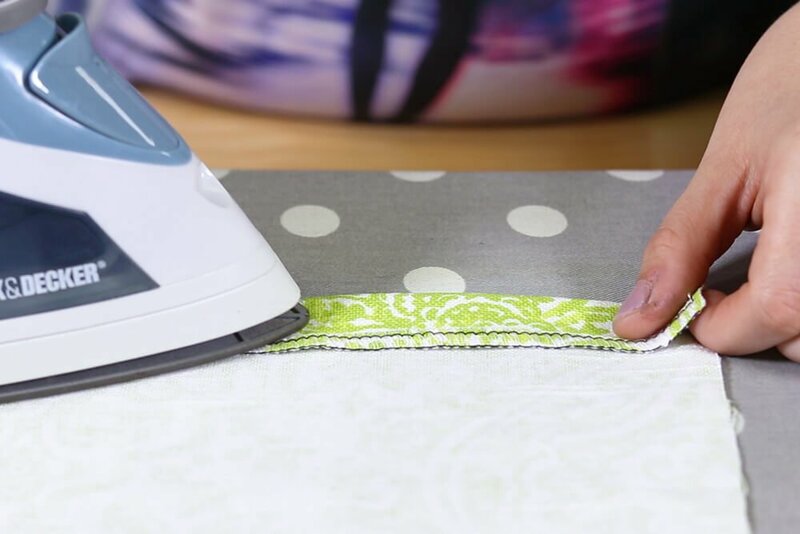 It melts and bonds the fabric when ironed. It can be machine washed. 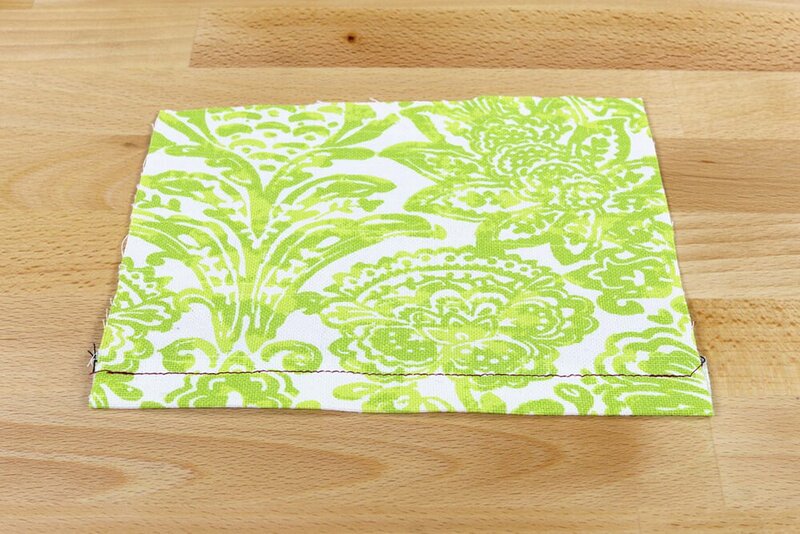 Fold up the edge at least the width of the bonding tape and iron. 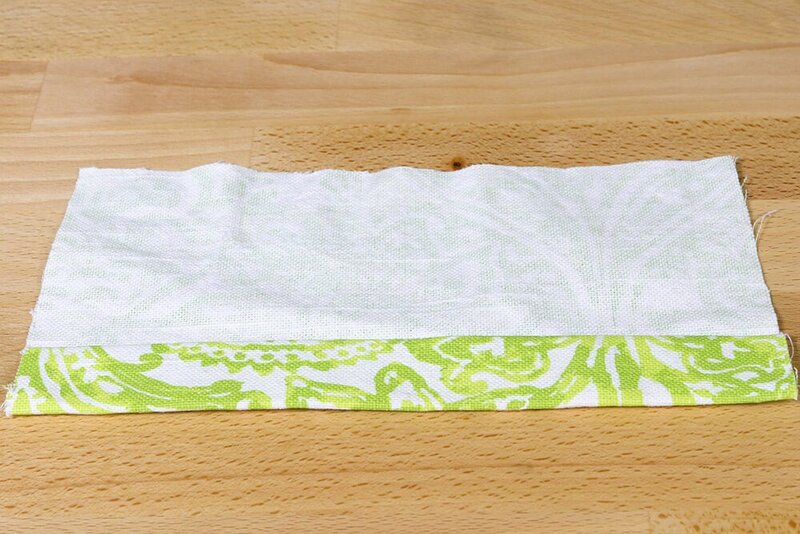 Fold up again the same distance or more and iron. 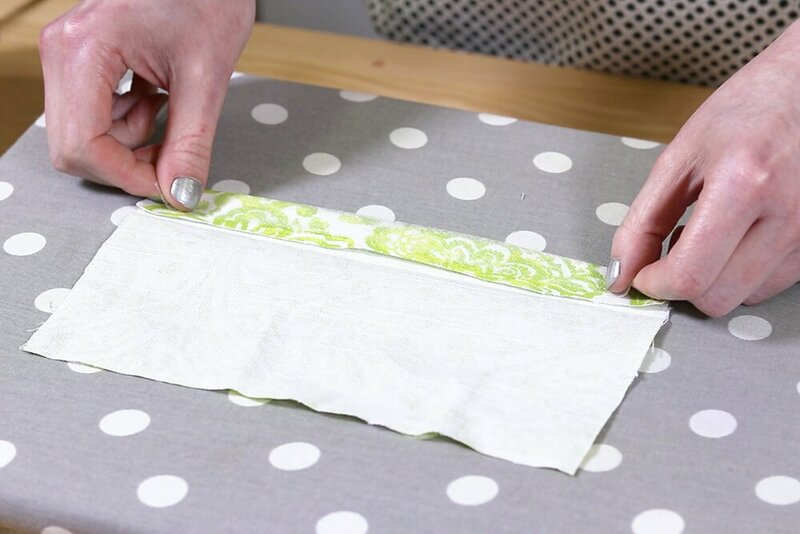 Place a strip of bonding tape under the fold and iron for at least 10 seconds. 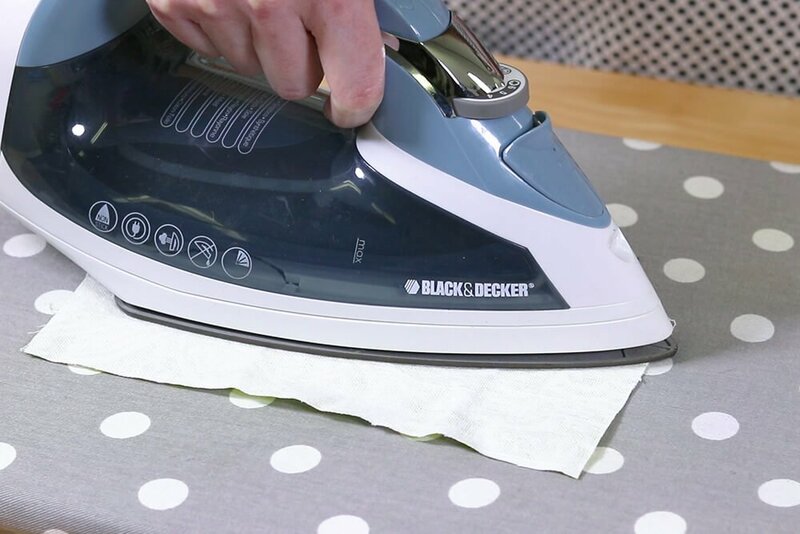 You can place a damp pressing cloth under the iron for more delicate fabrics, but this method shouldn’t be used on fabric that will be damaged if ironed. 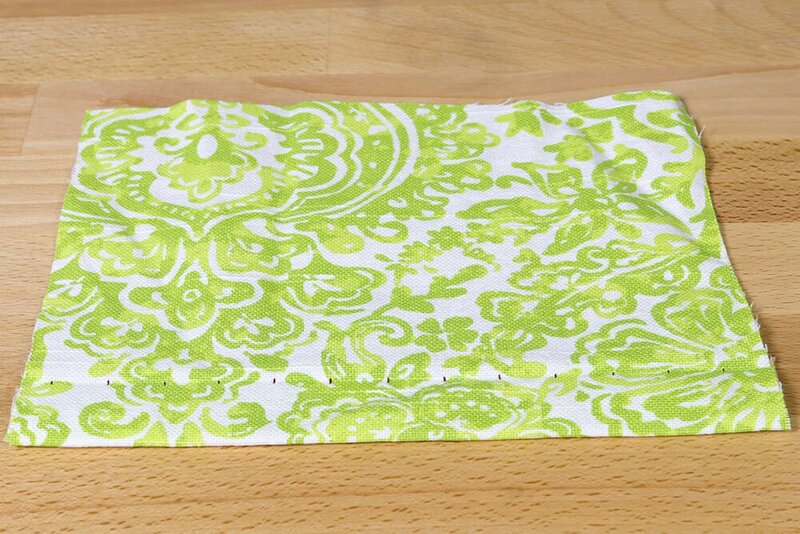 Hem tape is most commonly used in clothing because of its polished look. 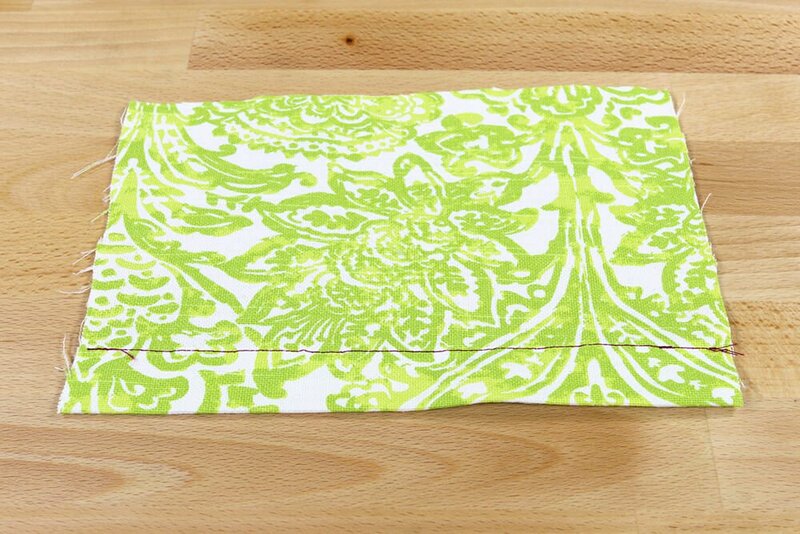 Place the hem tape along the top edge or just above. 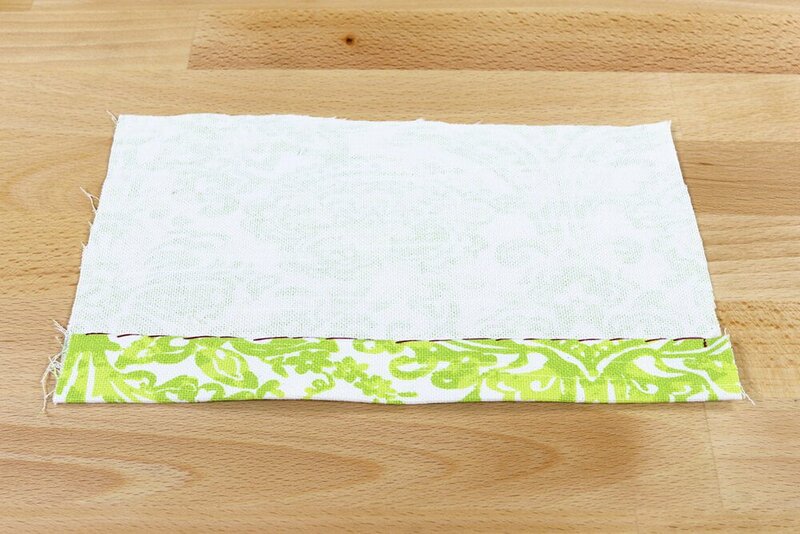 Stitch along the inner edge of the hem tape. 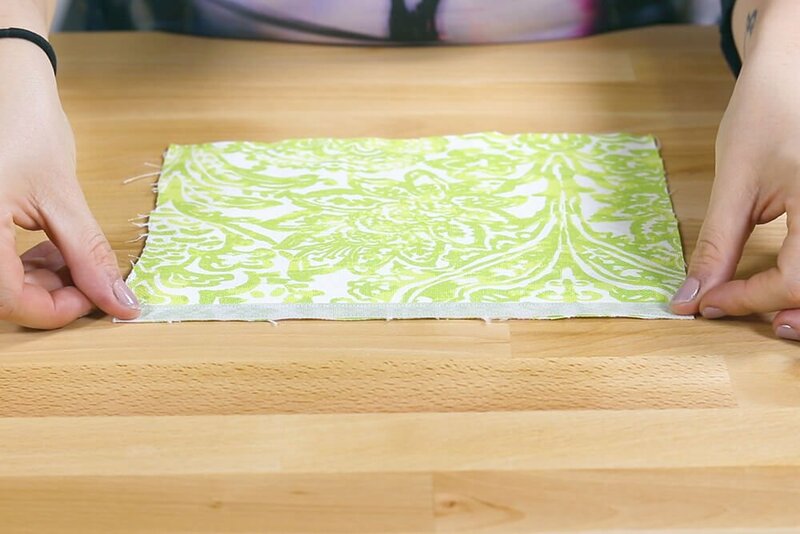 Fold up the edge your desired amount and iron. Stitch along the other side of the hem tape. 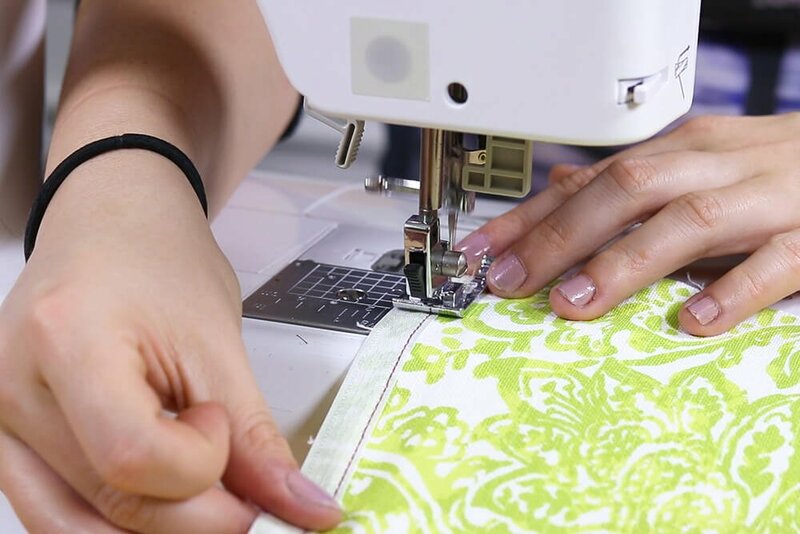 The handsewn blind hem stitch is used in couture garments or really anywhere you want a lot of control over the stitches and minimal visibility on the front. Even though we used a contrasting thread, you really have to look closely to see it. 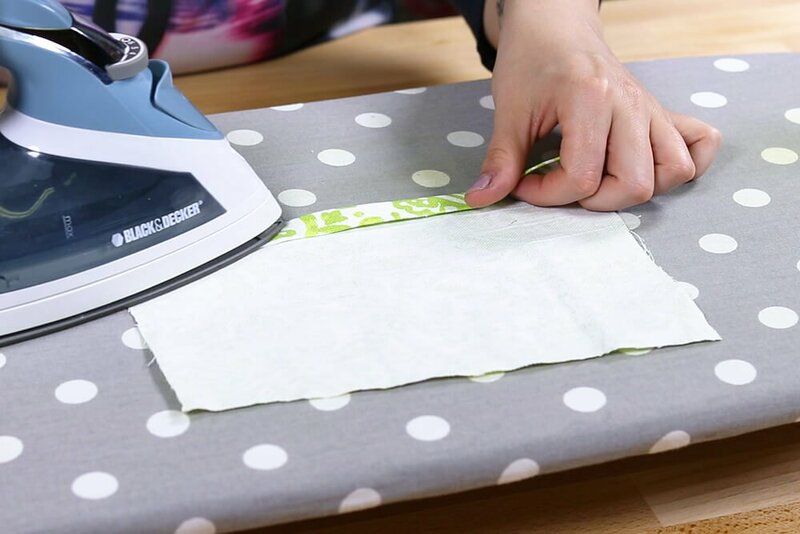 Fold the edge up your desired amount and iron. 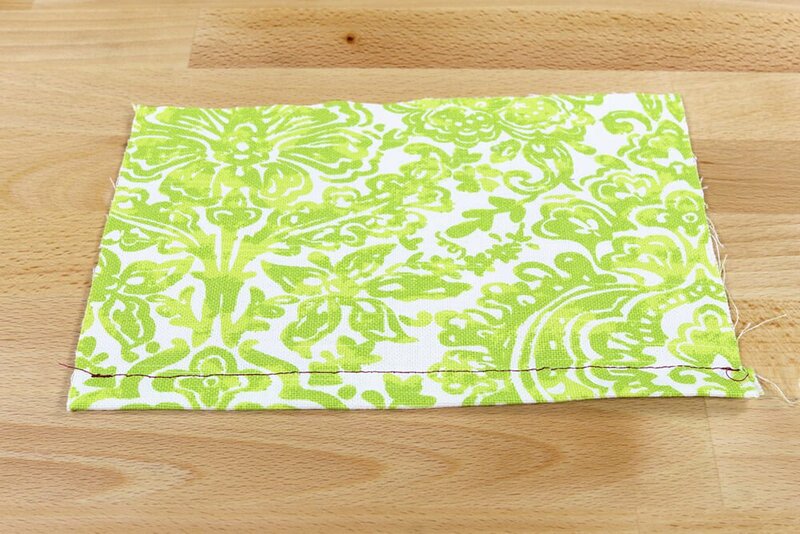 Fold it up again the same amount or more. 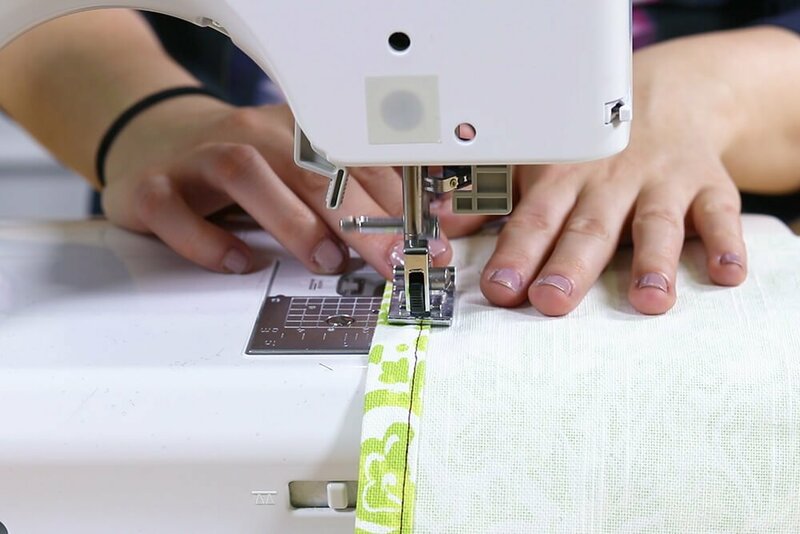 Blind stitch by sewing through 1 or 2 strands on the wrong side of the fabric and through the fold. Double knot and snip the thread. 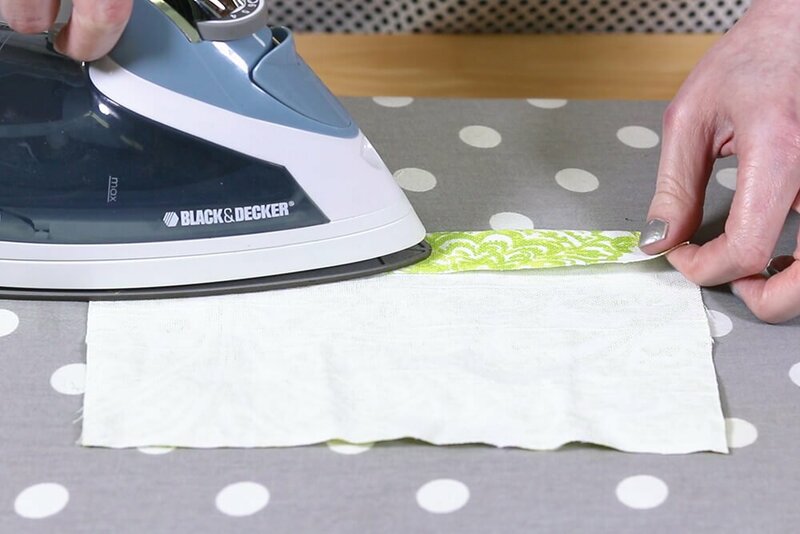 Iron on the right side of the fabric. 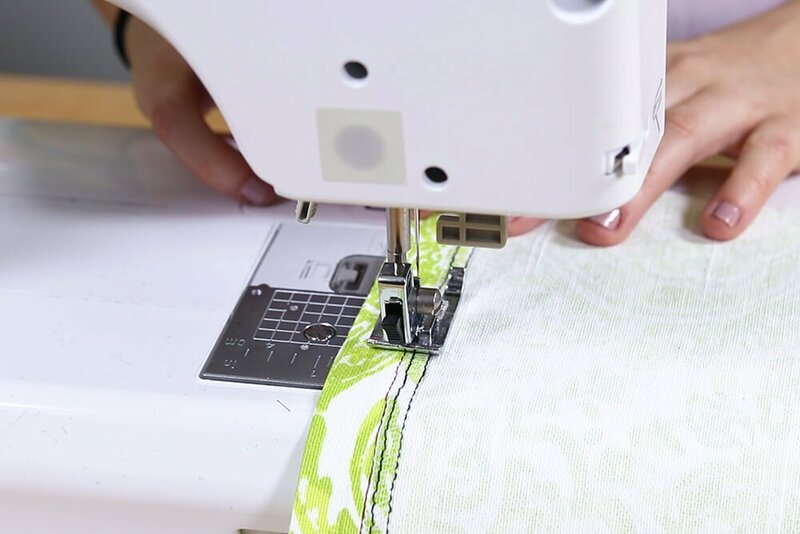 Many sewing machines have a blind hem stitch. This is a bit more noticeable than hand sewing, but with a matching thread it can nearly invisible. 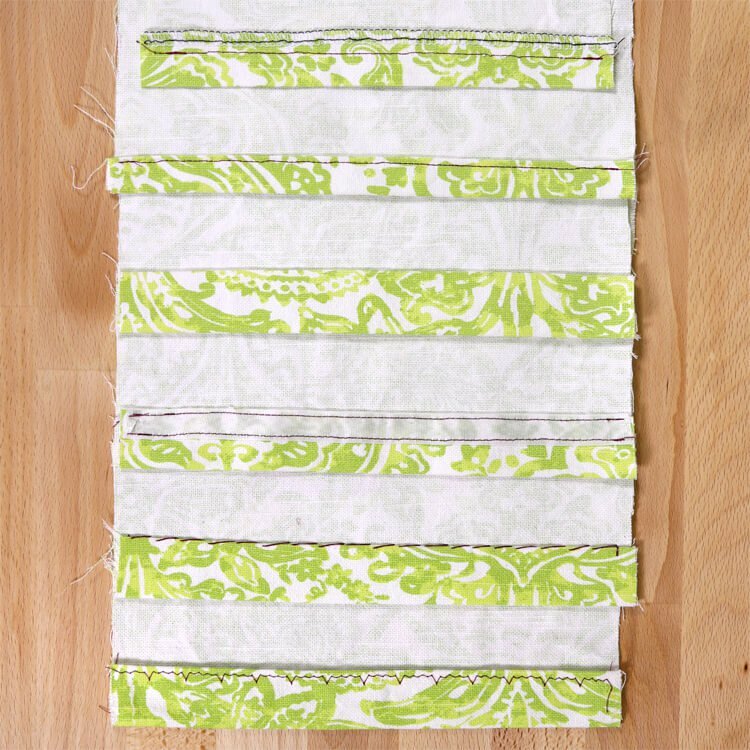 This stitch is used a lot for curtains and other window treatments because it is faster than hand sewing. 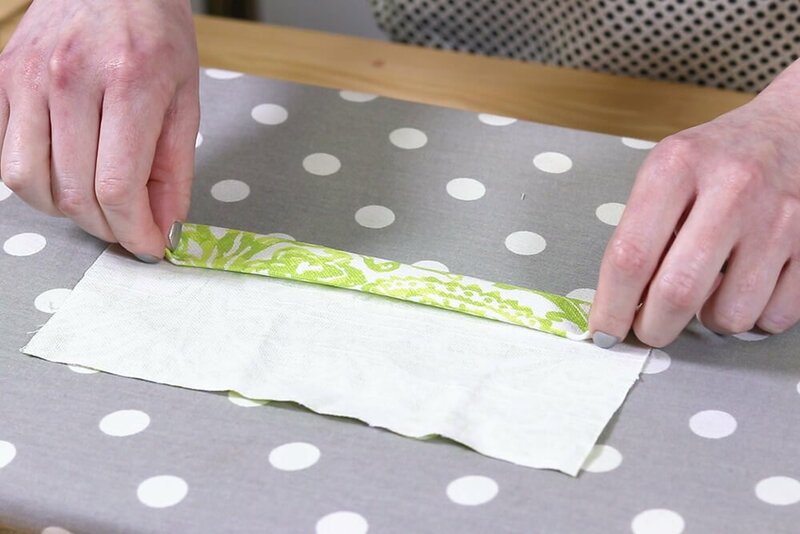 Fold up the edge your desired amount and iron. 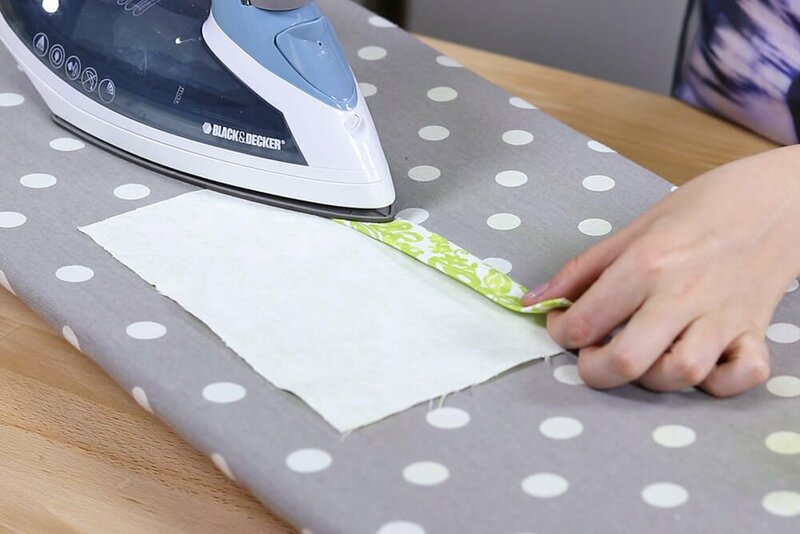 Fold up the same distance again and iron. 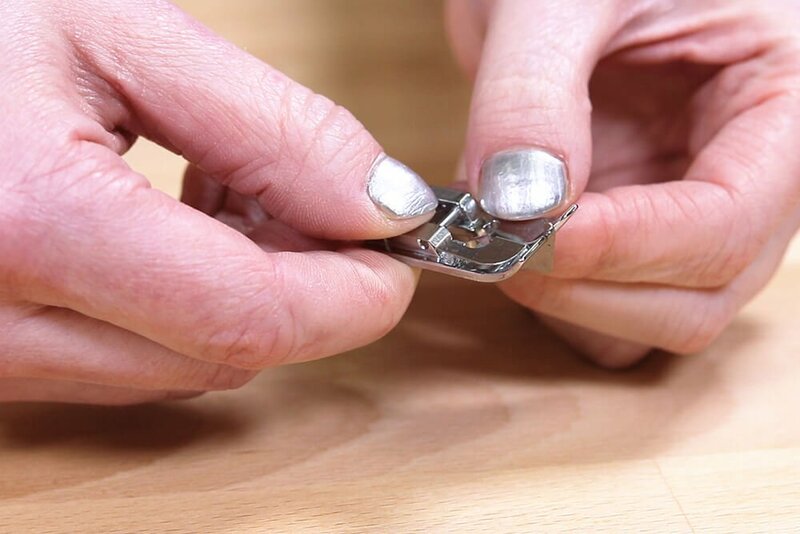 Switch the foot on your sewing machine to a blind hem foot. 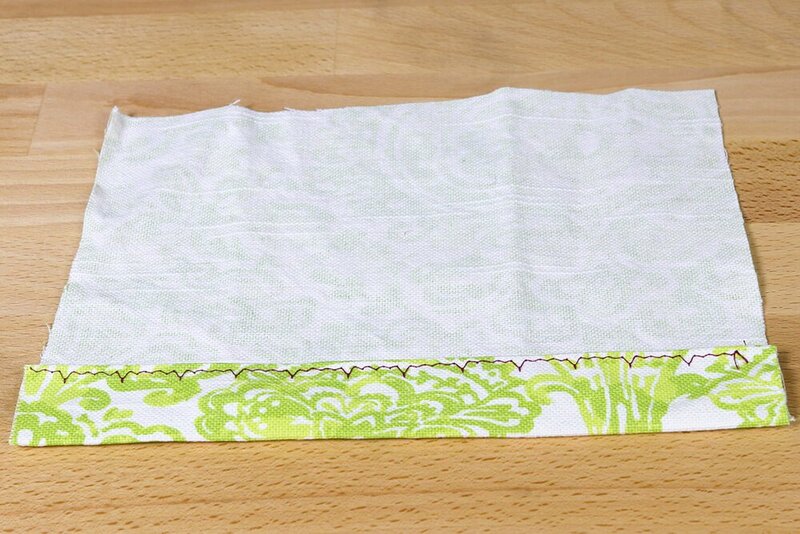 Fold the hem under so the end of the fabric is showing about 1/4 inch. 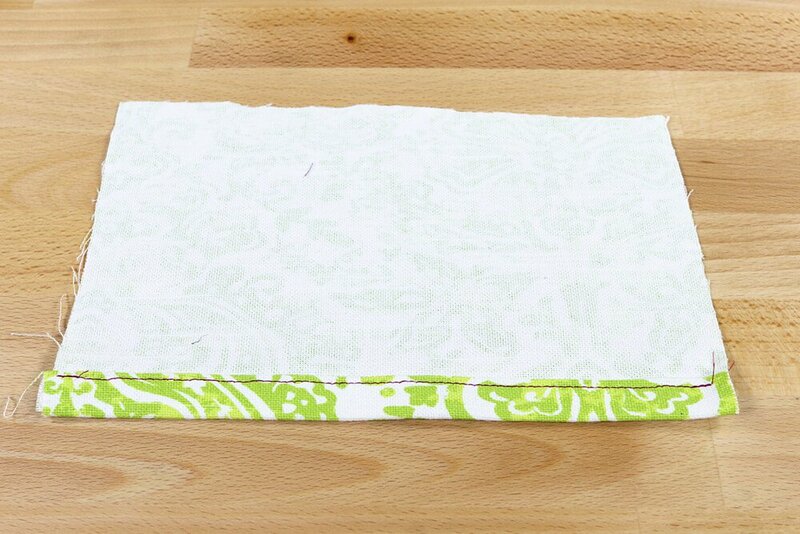 With the fold positioned against the left side of the guide on the foot, sew with the blind hem stitch selected. 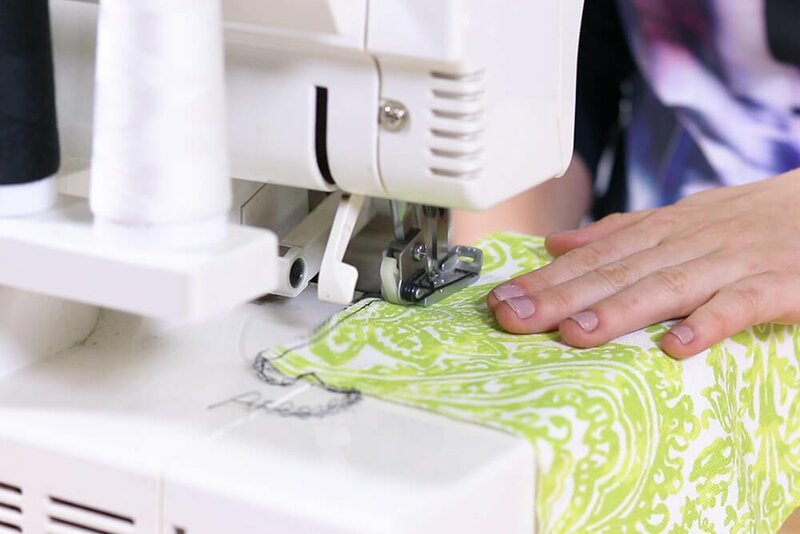 The machine will sew on the right for a number of stitches then jump to the left for one stitch. Iron the front. Find More Tips & Tricks Here.